Roads of Rome: New Generation 2 takes us back to the ancient Roman empire, where dark shadows of the past have risen on a peaceful Rome. Markus, son of general Victorius, leads an army to confront the danger, leaving his beloved Valeria behind in the city. Determined to participate in the battle, she finds herself on the borders of the empire facing incredible challenges! 40 levels plus challenging bonus level! 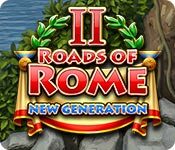 Roads of Rome: New Generation 2 is rated 4.2 out of 5 by 32. Rated 5 out of 5 by Bumbles2 from Thumbs up for another winner...loved it !!! We had a lot of fun playing this one...G'kids and I had another superior bonding time !!! Very simple story-line but very enjoyable. As you travel to various towns you are requested to help the townsfolk with issues that they can't handle on their own. The artistry is amazing and the music at times tends to be a wee bit tedious...we just turned it down...it wasn't a big deal to do that and it didn't affect the game-play in the least. We also didn't find the challenges too difficult...we actually found the game to be quite pleasant to play. Anyways folks...I hope you have as much fun with this one as we all did !!! We totally recommend this game !!! Cheers !!! Rated 5 out of 5 by MikaJackson from Just what I have been waiting for I play the Adelantado trilogy over & over because I haven't found a game that came close until NOW! Just played a few levels & bought it. To my delight it reminds me very must of the trilogy series. So far this game has been excellent. Not quite Adelantado but if you enjoyed that you should at least try this game. 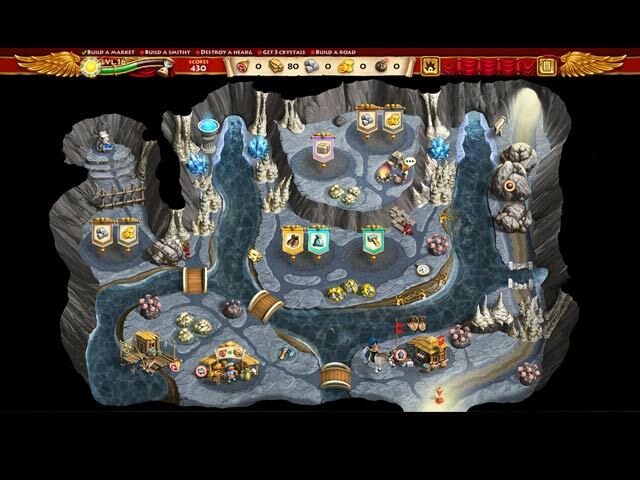 Rated 5 out of 5 by vianna1111 from Loved this Game! Great fun playing this came. I was even able to eventually get the gold in all the levels. So what I "YouTubed" a few. Worth the buy! Rated 5 out of 5 by sstypa from Love the Roads of Rome I wish there would be more Roads of Rome games. The games are a lot of fun and challenging. Rated 5 out of 5 by reidun70 from Exellent. Based on the trial.Love this series!! The wait is finally over, looking forward to bye and enjoy this game. Thank you! Rated 5 out of 5 by annieliz1 from A new old favourite and it hits the spot I was so pleased to see a new Roads to Rome game - it is not disappointing. I spent much of the night playing it, sometimes coming close to tearing out my hair whilst trying to find the caches. I am on the second quarter and so far I have eventually managed to find each one. As expected there are a few refinements of the original game but this game has clear and simple rules - the work comes in getting everything done in time and keeping your resources up. A game for enjoyment and satisfaction. Rated 5 out of 5 by plat1098 from "Great" Just Got Better Get ready to use your brain just a little more. The Roman juggarnauts in the dark red tunics are back and the challenges are better and more complex than ever. Decisions, decisions: what to build, where to build, do I fill this altar, can I spare a worker for this now? Still can't queue tasks but you can chain them, keep this in mind! Every second counts if you're in timed modes. 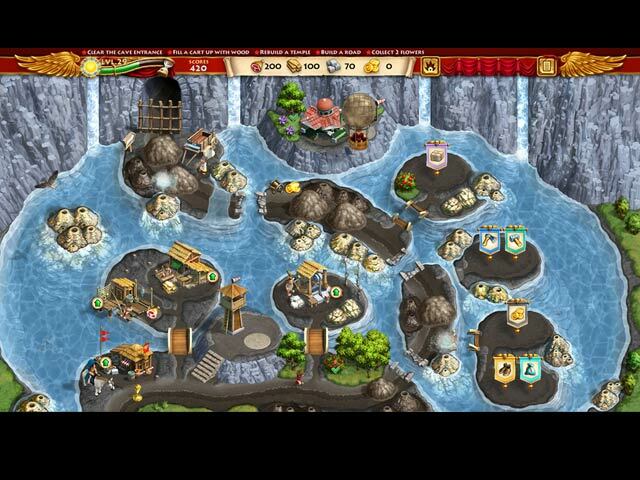 The richly detailed graphics tempt you to sightsee and explore--can you afford to stray off track? Yes, the modes are the same and "hard" mode had me ducking back to "normal" with a little humility. Yes, those secrets are there-- oh and don't forget that road. This game is a powerhouse. Good luck, you're going to need it.